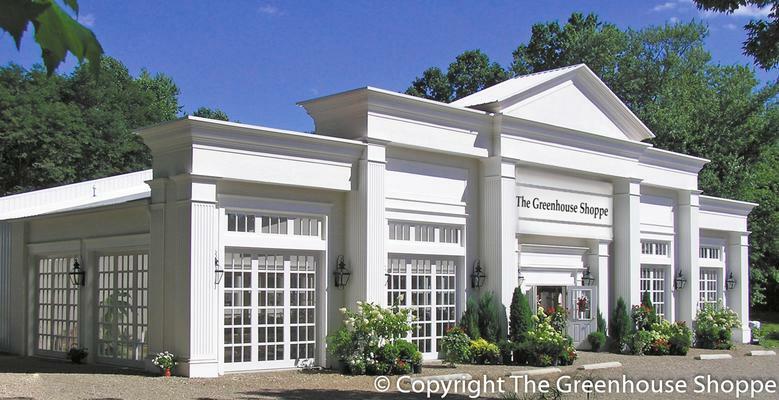 Enjoy gardening or decorating for Christmas with help from The Greenhouse Shoppe located on the north side of Wooster in beautiful Wayne County, Ohio. We are a garden center which carries everything for your gardening, landscaping, and nursery needs including flowers, bulbs, annuals, perennials, herbs, vegetables, tropical plants, roses, shrubs, trees, mulches, soils, garden supplies (including organic products), pottery, statuary, garden gifts, windchimes, and much, much more. The Greenhouse Shoppe (starting the first Saturday in November) also carries an extensive selection of Christmas decorations including glass ornaments, Santas, angels, table tops, snowmen, stockings, florals, as well as wreaths, roping, fresh greens, winterberry, and poinsettias. Whether visiting our garden center in its park-like setting or visiting our Christmas Wonderland filled with sparkling trees, we hope you will visit The Greenhouse Shoppe and we will have the pleasure of serving you.